Production Engineering is a backbone of every industry. This field deals with the complete process of manufacturing a product of an industry. In simple ways, Production Engineering refers to the designing and planning that goes into creating a product. Unlike Process Engineering which deals with the process involved in creating a product. Production engineering uses the principles of engineering, technology, manufacturing and management science. “Production Engineering (Manufacturing Engineering) is a branch of engineering which involves with the design, control, performance and continuous improvement of manufacturing systems to provide customers with high quality materials in an effective manner”. The Production Engineering field includes activities like planning, design process, better use of resources, analyzing production, using cost control techniques, etc. Design efficient production process that benefits the company. Must be capable to handle the issues related to the productivity. Should be capable to utilize technical knowledge effectively to maximize productivity and profit. Have the responsibility to ensure that production is cost effective and feasible to the organization. For admissions in UG courses, candidates must have passed 12th with physics, chemistry and mathematics subjects. For postgraduate courses, you must hold a bachelors degree (BE/B.Tech) in the related discipline. Candidates seeking for applying for Ph.D course should hold a masters degree in the related field. Many universities and colleges in India offer admission on the basis of ranks obtained in JEE Main 2019, GATE 2019 national level examination or some other state level exam while some universities organizes their own entrance exams for admissions. Through JEE Main, admission into undergraduate engineering courses is provided while admissions into postgraduate engineering courses is carried out through Graduate Aptitude Test in Engineering (GATE). If you are seeking admissions in IITs then you have clear the JEE Main and JEE Advanced national level exams to get eligible for admissions. Bachelor’s degree is must to become the production engineer. The study of production engineering comprises of subjects like Engineering Materials, Machining Science, Welding, Forming, Casting, CAD/CAM/CIM, Tool Design, Process Engineering & Tooling, Mechatronics & management. Production engineers are included in the every stage of production; from the raw materials to the final produced goods. 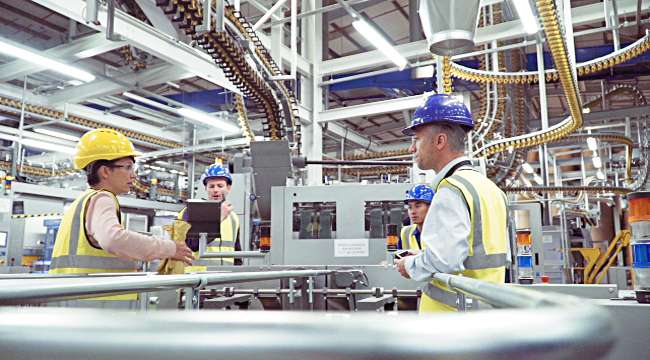 Production engineers can easily find jobs in private and government sectors. With a degree in production engineering you can get jobs in automobile industries, manufacturing industries, food processing industries, IT companies, construction industries, refining industries and many other government and private departments. Production engineers are in great demand in manufacturing industries. Job opportunities exists in manufacturing organizations occupied in implementation, development and management of new production processes, assembly and handling. In multinational companies, a production engineer controls a manufacturing department etc. Experience matters a lot in this profession. The job offers lucrative salary to experience people. Individuals can also go for higher studies. After getting bachelor’s degree they can opt master’s courses followed by research programmes. Candidates having master’s degree can also choose their profession in teaching field as many top colleges recruits professionals of this field for lecturer jobs. Pursuing MBA is always beneficiary for a production engineer. After gaining 2 or 3 years experience, you can go for executive MBA. How much salary a production engineer earns? A production engineer in India, can get an average salary of Rs.2.5 lacs per annum. The government sector, salaries are offered as per the government guidelines while in private sectors they can earn more depending upon their skills, education, etc. In the United States, average salary of a production engineer is around $70 k per annum. With a good experience in this field, you can easily get a high paying job. If you have any other queries regarding Career In Production Engineering, you may ask us by leaving your comments below. Sir i complete my BE in production engineering with 77.35% .What should i do know which is beneficial for future. I am prepared by gate exam in production industrial engineering plzs anyone send book,pdf file. What are competitive exams after btech from industrail production engineering. Send me reply as soon as possible. I will wait ik g for your mail. My PhD belong’s to the production engineering department, if I wish to apply assistant professor or professor in any iit or Nit in the mechanical engineering department, is it eligible? No, you can’t apply for mechanical engineering. I want to know about scope of production engineering in robotics??? sir my qualification is iti trade of MMV so can i admission in production engineering? I had completed my bachelors degree in 2010 & i have 6 yrs of experience in production industry, now i want to do the MBA. Please suggest which MBA branch is suitable for me. Well, it seems like difficult to find recruiters for production engineers other than the mentioned companies. An average student finds it difficult to lookout for vaccancies for degree holders. How to start the career then? Yes it is related but more related to manufacturing engineering. Production engineering is good course.